Home \ TOP GEAR \ How do your tires stack up? Storing an extra set of tires and wheels, such as snow, summer or racing tires, takes up valuable garage space and they’re a pain to move once they’re stacked. That is unless they’re on wheels, of course. 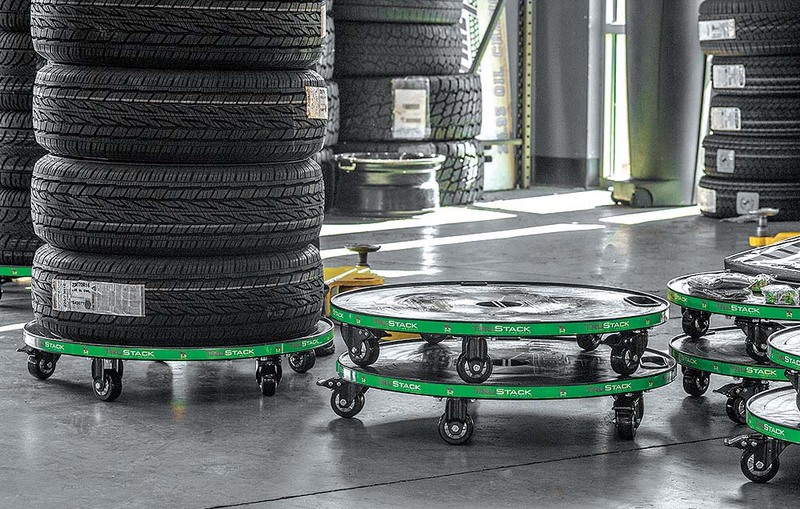 The TruStack Tire Dolly allows you to move your rubber donuts to wherever spot is most convenient. Designed primarily for commercial use, the 30-inch (diameter) injection-molded plastic unit comes with heavy-duty casters, two of which swivel and have brakes. A strap that attaches to the TruStack’s center point helps keep up to four tires properly secured. Order for $150 from www.trustacktiredolly.com.